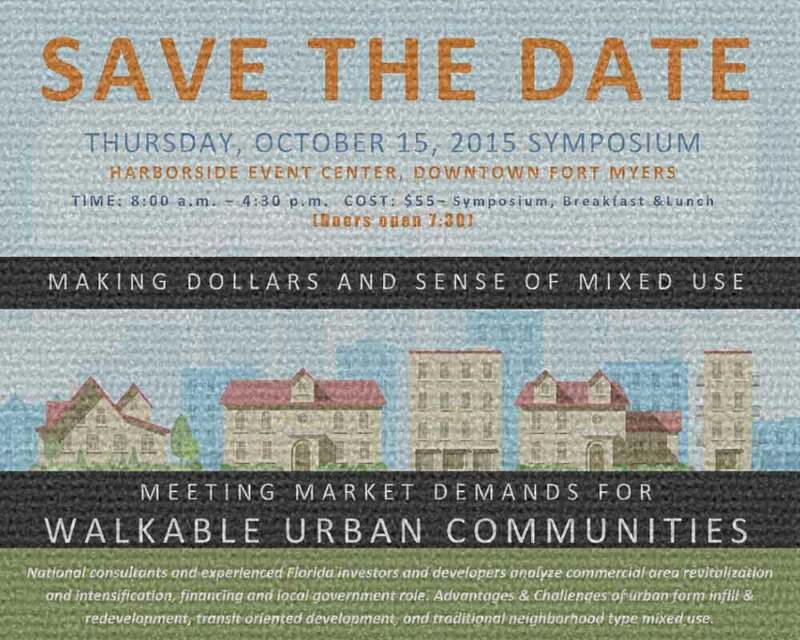 City of Fort Myers: Walkable Urban Communities! National consultants and experienced Florida investors and developers analyze commercial area revitalization and intensification, financing, and local government role. They will explore advantages & challenges of urban form infill & redevelopment, transit oriented development and traditional neighborhood type mixed use. 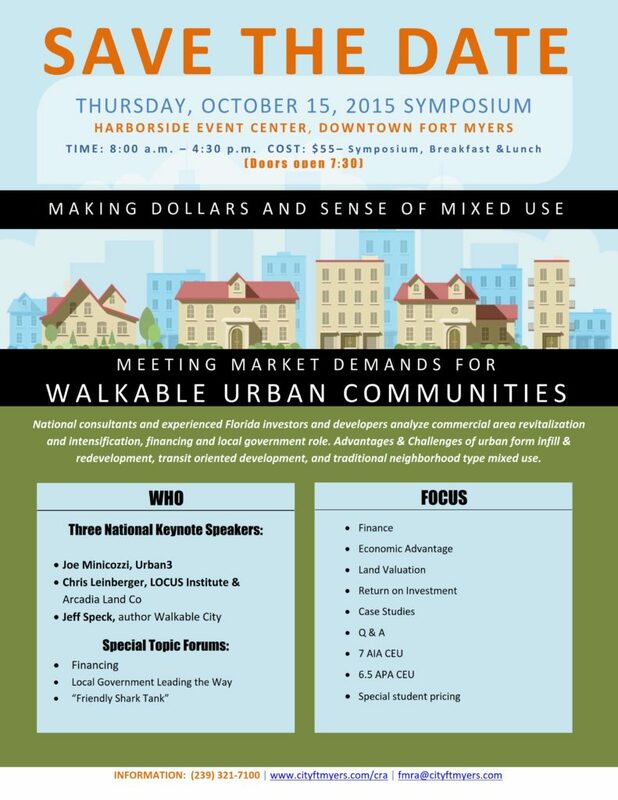 Walkable Urban Communities: National consultants and experienced Florida investors and developers analyze commercial area revitalization and intensification, financing, and local government role. They will explore advantages & challenges of urban form infill & redevelopment, transit oriented development and traditional neighborhood type mixed use.